Jersey Mike's location in Valdosta, Georgia. 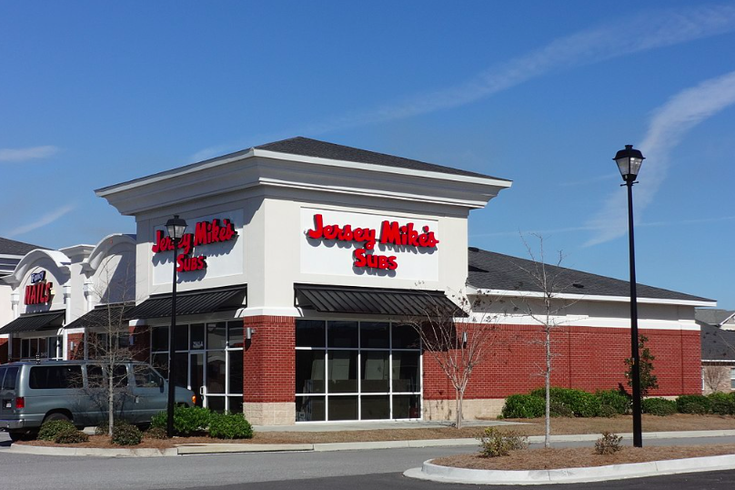 National hoagie chain Jersey Mike's will introduce a gluten-free roll next month as the expanding franchise seeks to provide safe options for customers with gluten intolerance. The Manasquan-based restaurant, named the second fastest-growing restaurant chain in 2016, now has more than 1,300 locations across the country. Known for baking its bread in-house, Jersey Mike's has partnered with Colorado-based Udi's, a gluten-free specialist, to offer pre-manufactured rolls at locations nationwide, according to Restaurant News. Is gluten-free all it's cracked up to be? The company has reportedly been testing the bread at about 200 locations over the past two years and will move forward with a full rollout of the offering on Dec. 4. Jersey Mike's previously attempted to bake its own gluten-free rolls with dough from a wholesaler but found that consistency was too difficult to achieve while meeting standards to avoid cross-contamination. This time around, the company worked with the Gluten Intolerance Group to develop employee training and other procudures for the new rolls. The regular gluten-free rolls may cost an extra $1.50 and "giant" gluten-free rolls another $3. Jersey Mike's CEO Mike Manzo said he'd like to see the new rolls account for about 5 percent of sales going forward.